So as we gear up for Windows 8 with new phones and tablets a few thoughts on the current Windows Nokia Lumia 900 phone after using one for a few weeks. Really liked the form factor. Nice phone in the hand for shape, weight and size and easy to operate. The device was very fast. Never felt the device was struggling to do anything with always quick response in apps. A nice touch screen that was very responsive. The slightly curved aspect made interacting with it very easy (pleasant even!). Excellent integration with Windows Live, Office 365, Twitter and Facebook. E.g. from a text message I could jump onto my Live skydrive and attach an image. Posting to Twitter or Facebook from within apps worked better without logins such as those you get on the iPhone. Phone piece of it was excellent with very nice interface and excellent call quality – a piece Apple all too often have forgotten. Good battery life. Better than both Blackberry and iPhone in recent comparison. MS Office mobile such as Word, Excel, Onenote and Powerpoint. Really liked the customisable tiles on your home screen. While I liked the OS it did have an unfinished look and feel to it at times. Poor Camera – especially indoors and in poorer light compared with other phones. It often was quite difficult to take a good quality picture, or a picture with the same quality as the iPhone. The camera app does has a lot more ‘real’ camera settings that many may like but for me I want to point and click and not spend 10 mins picking from 20 different settings just to get a good picture. Obviously not the same volume of apps available for it so I could not replicate everything from my iPhone. The phone was expensive. The same cost roughly as recent iPhones or other devices we have got. Considering it can’t quite offer what other devices offer they should be cutting their margins to make it more appealing. So overall I was very pleasantly surprised with it. I will seriously consider switching to the new Windows 8 version when it comes out if the camera is better and once the selection of apps improve. Personally it would work better for me as my email is with Microsoft Outlook.com and work is on Microsoft Office 365. 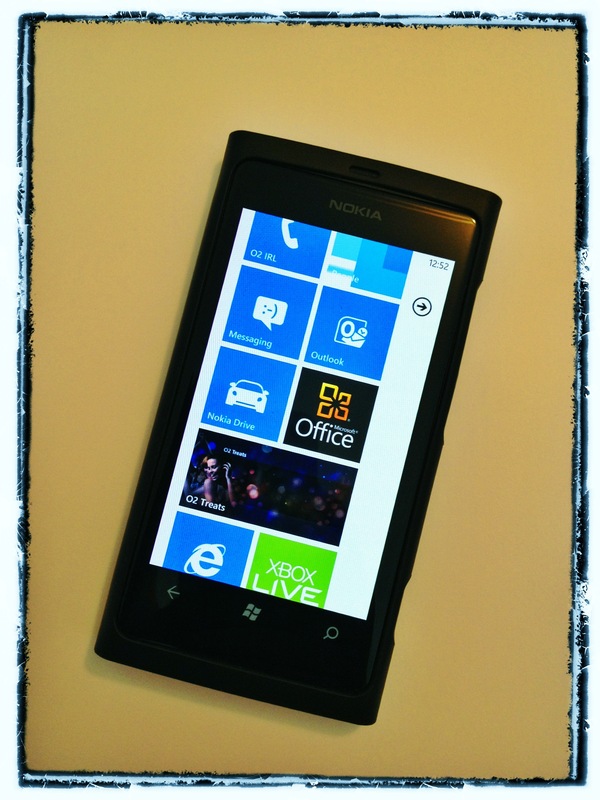 The excellent integration with these products that the Windows phone offers might just get me to give up my iPhone!